This is coming from my seven-year old son. He may be talking about permission to play video games ad nauseam, but I can still relate to his plea. But instead I tell him that he can have more freedom by showing me he can make appropriate choices. That the more responsible he is, the more freedom he gets. This is a concept for Jeb and the only way he’ll get it is by living the experience. So I try to give him chances to be responsible and feel more freedom. In my own world – in my own head and heart – it’s not as simple as the power switch on a hand-held video game device (or is it?). No, my trappings seem far more elusive and complex. How do I break free? Yesterday morning, just before waking I was gifted this cryptic dreamy scene. 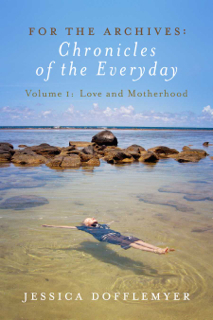 I’m opening a book with the word Ho’oponopono on the cover. Inside are listed some simple sentences that comprise the premise of this practice of healing and forgiveness. I don’t remember all of the sentences but I do remember one constant affirmation that was printed repeatedly, as a mantra. After waking I was curious, and found a video of an interview with Dr. Hew Len, a man known for his work with Ho’oponopono in a psychiatric ward. The story goes that he simply meditated on the files of the patients in his office and slowly, one by one, they got well and were released. His perspective is that we are all living on ‘data’ that is memory from the past in our sub-conscious, which is playing out in the present. This information shows up as a kind of out picturing in our external world, which reveals to us the places within ourselves that are not clear. His perspective is that peace begins with each of us and this can occur by taking 100% responsibility for everything that happens in our reality. I’m not well-versed in the principles of Ho’oponopono or on Dr. Hew Len, himself. But I do know that in my dream book the other morning, one of my sentences was “I love you”. Followed by “Things change.” Was it a hybrid of a Hawaiian healing technique and the Buddhist teachings of impermanence emerging in my REM state? Whatever it is, I do know that I don’t know much about any of this. But I don’t really sense that these realms involve a lot of intellectual understanding. This all seems to be based in the heart. Sourced in an exalted form of love. Lived with a surrender, knowing that nothing stays the same. An acceptance that all is constantly changing. 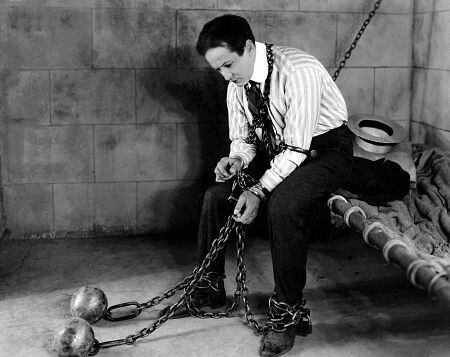 Was Houdini really magic or was he just an expert at stashing keys? I don’t think it matters how he unlocked himself from all those shackles, he still did it with amazing skill. I’ll take the keys to freedom and won’t consider it cheating if they work to unlock anything that’s trapping me. As for Jeb, he gets opportunities for responsibility in doses that match his developmental stage. Me, I’d like to think I’m mature enough for 100% responsibility. Yet, it’s so easy to think that some heavy, rusty chain is keeping me stuck. That I simply don’t have the tools to free myself. But maybe that’s just not true. Maybe it starts with knowing I have the power to choose. That any problem that arises can become a friend, if I use it as a way to clear more of the old away. Let it forge a path that opens to the new. What would life be like if we could say “I love you” to every fear that gripped us? What if every irritant, every problem, was a guidepost on the path to infinite freedom? What if we believed the truth of transformation? The possibility of that one constant: all things change.